Lean Canvas is a 1-page business plan template that helps you deconstruct your idea into its key assumptions using 9 basic building blocks. Unlike a business plan that takes too long to write, and more important, no one reads, a Lean Canvas is designed to help you create a quick snapshot of your idea, share it someone for feedback, and refine it iteratively. Where did the Lean Canvas come from? 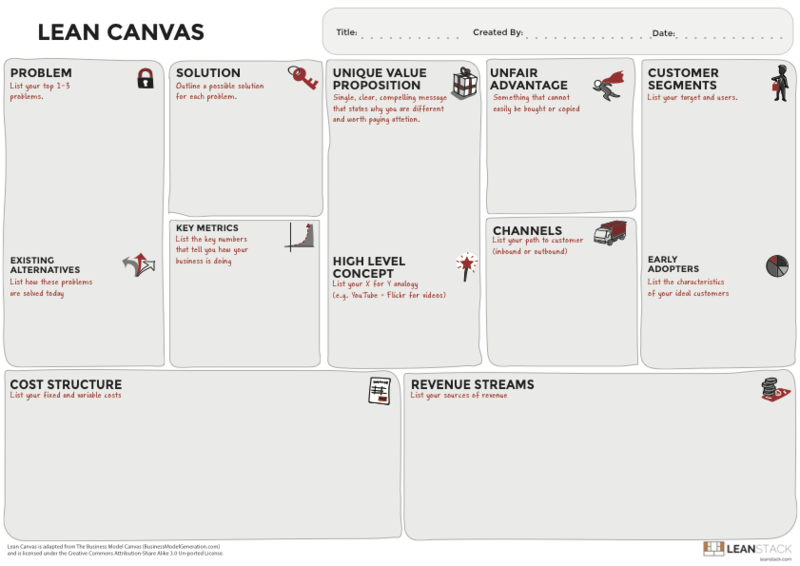 Lean Canvas is adapted from Alex Osterwalder's Business Model Canvas and optimized for the Lean Startup methodology with a big emphasis on finding customer problems worth solving. For more details on the differences between Lean Canvas and the Business Model Canvas, see this comparison.